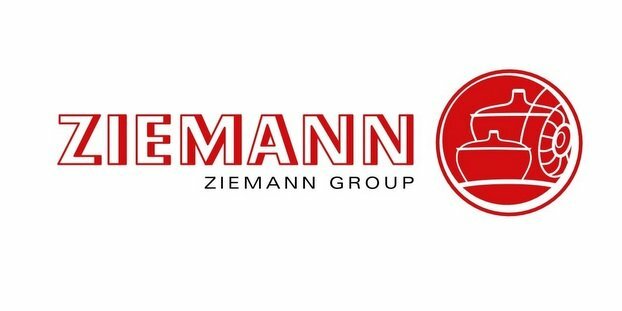 With Omnium, Ziemann Holvrieka GmbH has developed an awesomely novel brewhouse and brewing process for the beer industry. It’s actually based around a product innovation we covered in the pages of CBB previously — Nessie by Ziemann. Nessie is revolutionizing the conventional lautering process by means of a continuous separation and extraction of the mash, and it’s the cornerstone of this new brewhouse. The innovative Omnium brewing process is based on the principle of an advantageous combination of individually improved subprocesses — so brewhouse tasks get divided into their respective subprocesses and reunited at the “optimum time” to form an overall solution. As mentioned, the core component and centerpiece of Omnium is Nessie, a system that was already presented in 2016. With Nessie, the mash is separated into wort and spent grains in a continuous process and the spent grains are sparged in order to obtain the extract. With this procedure, the lauter wort is obtained in a dynamic process. The mash transfer time corresponds to the lautering time. The separation of the mash is carried out via four filter units in cascade arrangement, in which the rotary disk filters perform the separation of wort and spent grains. The sparging of the extract is carried out in parallel using a turbulent counterflow extraction. The sparging water is injected via fine nozzles in the transition between the filter units. The flow direction of the water is principally opposed to the flow direction of the solids. Another new development of Omnium is Aladin by Ziemann, a procedure for the late saccharification during the wort treatment process. For this purpose, approximately one percent of the brew volume from the first sieve filter module is temporarily stored. The temperature of the malt extract represents 72 degrees Celsius. In this temperature range, the alpha amylases, required for the saccharification, have their optimal activity. The late saccharification with Aladin is therefore carried out with malt enzymes, without using technical additives. The malt extract is then added during the trub separation. The effect of the native enzymes, which is based on the combination of different partial flows, results in technological and economic advantages leading to an increased extract yield and time savings during the mashing process. The wort boiling process, called Janus by Ziemann, uses a separate hop isomerization, which is another novelty. For this purpose, approximately two thirds of the brew volume is supplied to the wort kettle. Due to the sparging of the mash, the starch particles, which were not completely degraded during the mashing, enter the wort boiling process. When using conventional methods, these particles remain in the spent grains. During boiling, these particles can be thermally degraded. Afterwards, these particles can be completely saccharified with the Aladin malt extract. This leads to an increased malt yield, as it is also observed in conventional decoction processes. The remaining one-third of the brew volume is used for the separate hop isomerization. For this purpose, only the partial flows of the counterflow extraction from the filter units are used, which already have reduced extract content and, due to the dilution, a slightly increased pH value. This fraction includes many minerals, such as magnesium, and it forms less precipitant trub during the wort boiling. These are important factors for the hop isomerization and help to increase the hop yield. The subsequent process step combines Janus and Aladin, forming the actual cast-out wort. During this process, the unhopped boiled wort is first cooled down to 85 degrees Celsius and afterwards mixed with the Aladin malt extract. The mixture is casted unto the settling tank Ice Foot by Ziemann, which is equipped with a cooling cone. In this tank, the trub settles in a reliable way. In parallel, the degraded starch particles are saccharified and the alpha amylases are deactivated due to the increased temperatures. In the next step, the isomerized hop extract is added to the clarified and saccharified wort. The temperature of the overall wort rises to approximately 90 degrees Celsius. This ensures that no active enzymes enter the fermentation cellar. Finally, the wort cooler lowers the temperature of the completed cast-out wort to the desired pitching value, while a large part of the thermal energy can be recovered. Omnium by Ziemann offers numerous advantages for the international brewing industry. Since a complete saccharification is ensured in the last process step and the hop isomerization is performed separately, the process times for mashing and wort boiling can be reduced. The conventional lautering of the wort has become a transfer step. Thanks to Nessie, the real brewing times can be reduced by up to 30 percent. For a medium-sized brewery with a two-shift operation this means, for example, that one additional brew can be produced. The higher contents of yeast vital substances in Omnium worts accelerate the primary and secondary fermentation, resulting in increased cellar capacities. Another advantage is the improved raw material yield because all extraction processes are dynamic and run at their optimum operating point. The brewer can react both thermally and enzymatically to fluctuating malt qualities. 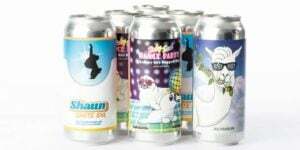 In addition, the quality of the brewed beer can also be optimized with Omnium. Thanks to the gentle brewing process and the rapid fermentation, the brewed beers have high turbidity stability, possess excellent foam and outstanding flavor stability. Moreover, increased wort and beer diversity are possible within the scope of the German Purity Law. These improvements help brewers to reduce their production and operating costs. Further advantages are, among others, a smaller space requirement for the equipment and reduced costs for the foundations in the building, particularly for Nessie by Ziemann.